Looking for quality auto repair at an exceptional value? 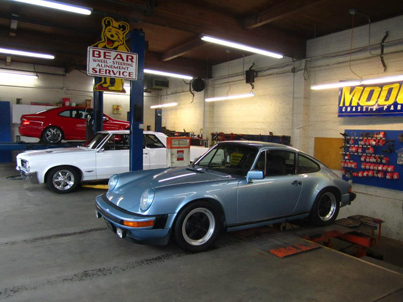 At Dabney’s Alignment & Brake we provide Automotive Services for Wheel Alignment in Vancouver, WA and Clark County. At Dabney’s Alignment and Brake, we prize good service and quality work over all else. As one of the best alignment and brake repair shops in the region, come to us whenever you need auto repair in Vancouver WA. We strive to deliver on our promises of fair, honest work. Our friendly and helpful staff are equipped with years of experience dealing with alignment and brake issues, meaning your car will be handled with the utmost care. With fair prices and honest service, we are certain you will walk out of auto shop satisfied. What kind of car repair do you do? We offer a wide variety of services that can ensure you enjoy a quality driving experience. While we can handle most types of repairs, brakes and alignment are our specialties. If your alignment is giving you grief, bring it in and have our workers perform a detailed inspection. We can give you tips on how to prolong your vehicle’s performance and recommend the best courses of action for any auto repairs you may need. Our staff knows alignment, and you can be certain we will give you the best advice available. Brake Repair is one of our main services, so if brake problems are pestering you and your car, we can solve them. Do not make the mistake of leaving your brake issues for another day. Is your rear Differential making driving a chore? “Wheel” make sure your tires turn at the proper speed to ensure optimal performance and handling to make your driving experience smooth. Don’t drive too long with improper alignment! Poor alignment makes tires wear out at different speeds and is one of the prime reasons dangerous tire blowouts occur during driving. Nobody likes to worry about auto repairs. They can be stressful to deal with and greatly impact your daily schedule. Dabney’s Alignment and Brake can ensure you are back on the road before you know it with a fully repaired and functional vehicle. We are experts with alignments and brakes, and we will gladly service your vehicle and get it into top shape again. Call or contact us today to schedule an appointment.